How to use product : Apply one coat on a dry nail polish. Re-apply if needed to revive the gloss. Multi-tasking clear, nail beautifier! 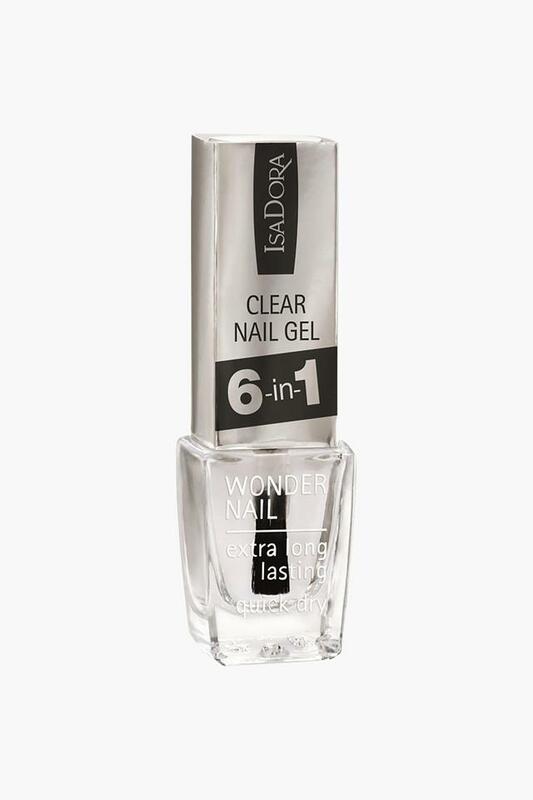 A 6-in-1 clear nail gel polish in gel consistency which will be just perfect to get stunning manicured nails with just one application! Super Gloss : Adds a super glossy finish long wear hypoallergenic formula. Creates a perfect base for your colored nail polish. Base Coat : Base for a colored nail polish. Ridge Filler : Fills in small ridges in the nails. Top Coat : Makes the nail color last longer.